Shattered glass bike lane conspiracy? 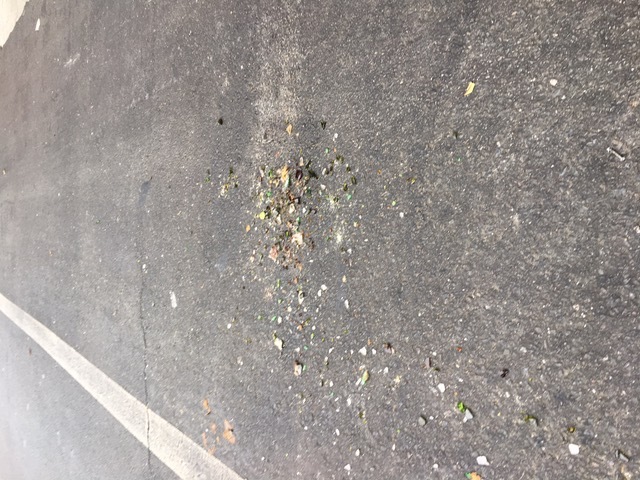 Lately I’ve been noticing these piles of mixed-color jagged glass in the Valencia bike lanes. It’s possible these come from trash cans or trucks or something, but at the risk of sounding conspiratorial, I find myself wondering if someone with a beef for bicyclists is doing it. There’s something kind of purposeful about how they are right in the middle of the lanes, and other people in my office have seen them as well. This was between 15th and 16th this morning. Wondering if you guys have heard anything about it? @SFPD will have extra patrols 7 days/week on foot & on bike @ #Dolorespark after today's #shooting. 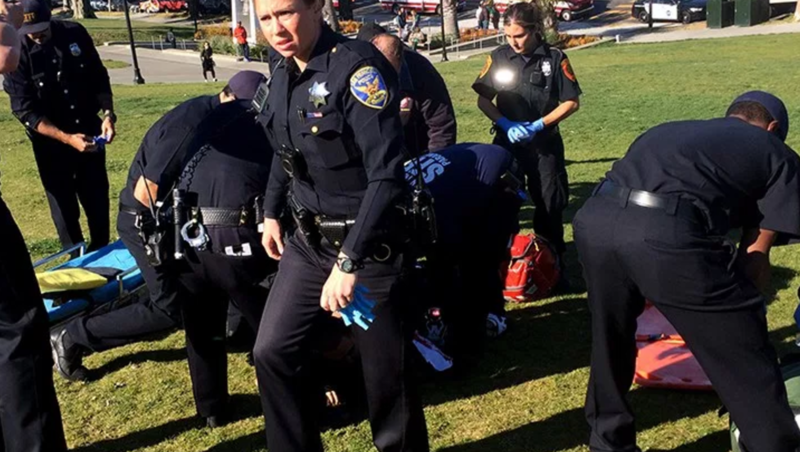 A 23-year-old man is in critical condition after he was assaulted and stabbed at Dolores Park late Wednesday afternoon, eyewitnesses reported. Police confirmed one person was stabbed at 5:23 p.m. by a group of five suspects ranging from 17 to 20 years old. Two eyewitnesses, Mark and Barbara, said a group of five or six youths chased the victim across the park and then attacked him with a golf club and a glass bottle. One eyewitness said that it was reminiscent of incidents in the 1980s. Governor Brown says California won’t stand for this kind of thing. But we’ll see what happens. U.S. Immigration and Customs Enforcement agents may have sought to detain an undocumented immigrant on Thursday morning at a building that houses a preschool in San Francisco, the San Francisco Examiner has learned. The action, which sources familiar with immigration called “unusual,” comes only a day after President Donald Trump signed two executive orders that — among other actions — called for 10,000 new ICE agents to perform deportations across the country. Visiting a preschool and other sites containing children is prohibited for ICE officers under a 2011 Department of Homeland Security “sensitive locations” memorandum, save for exceptional circumstances. “They had batons, they had walkie talkies, they had police belts and vests on top of their black uniforms. I didn’t notice if they had guns,” said Jaime Aragon, services coordination manager at Good Samaritan. My friend Dana was hit while riding her bike Tuesday 11/29 going southbound on Potrero between 22nd & 23rd (in front of SFGH), sometime between 10:15-10:27 pm. Specifically, she was hit at 1072 Potrero. PLEASE HELP US LOCATE THE DRIVER. If you were in the area at the time & witnessed the accident, or if you have seen a DARK BLUE, late model MINI COOPER which is now missing a SIDE MIRROR, contact me!! Any information could be helpful. SF is a small city and I know we can find the person who hit my friend & fled the scene if this post gets around. Please, please share!!!! 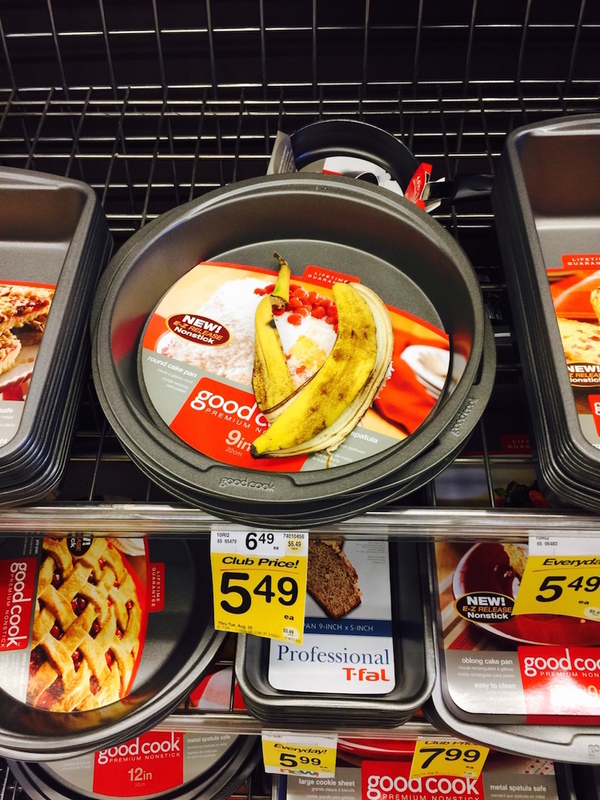 Though S.F. has proven to be an inhospitable place for renters the last several years, the circumstances surrounding this eviction are particularly startling. 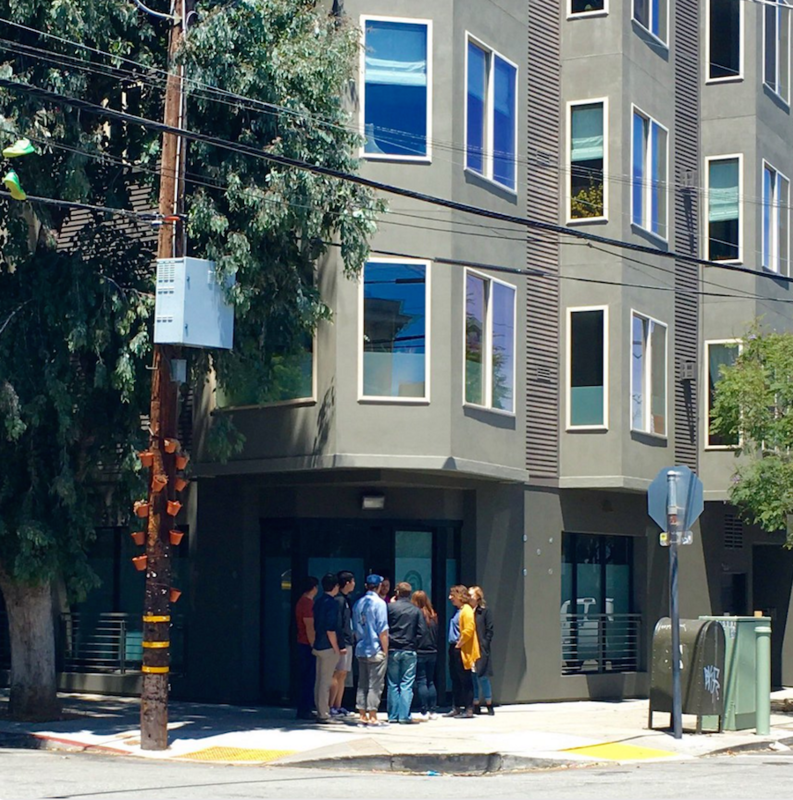 It seems that Malliett’s new landlords—Mathieu Verbeeck, a VP of product development at Mubi, and Catherine Crevels, a marketing manager at Intuit—are testing out a novel strategy for ejecting tenants. They contend that Malliett and her daughter are causing a “nuisance” by living in a unit that lacks the proper permits. The Board of Supervisors has already blocked landlords from evicting tenants of illegal units simply because they are illegal, but here the owners are taking a different approach—one that tenants’ rights advocates are concerned will create a worrying precedent. 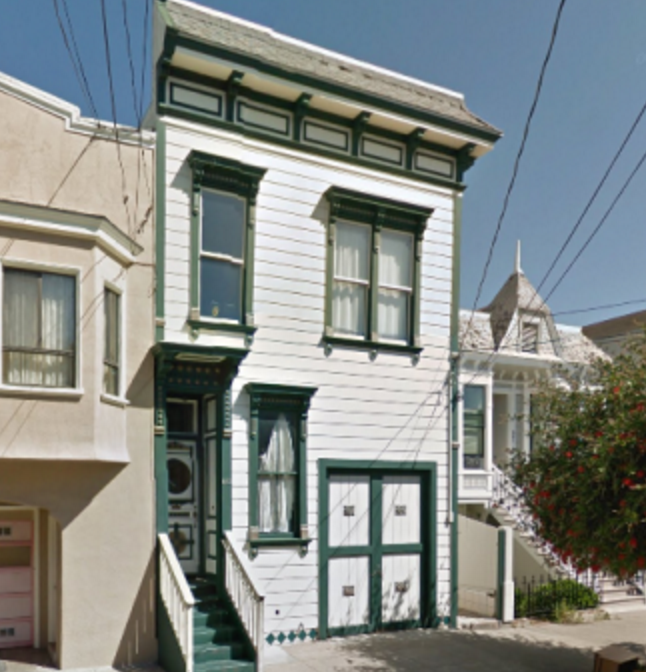 “This is the first time we’ve seen a tenant accused of nuisance for living in an illegal unit,” says tenant rights attorney Joseph Tobener, whose firm is representing Malliett. And what, pray tell, is the nuisance cited in the legal notice? “Defendant’s usage of gas or electrical appliances is dangerous.” That’s right: Only in San Francisco do you stand to lose your rent-controlled apartment for boiling water.